How effective are domain venues, also known as “domain marketplaces”, in displaying their domain inventory and interacting with their visitors? User experience (UX) is a fundamental element of design, defining the accessibility, usability and effectiveness of presenting online content. 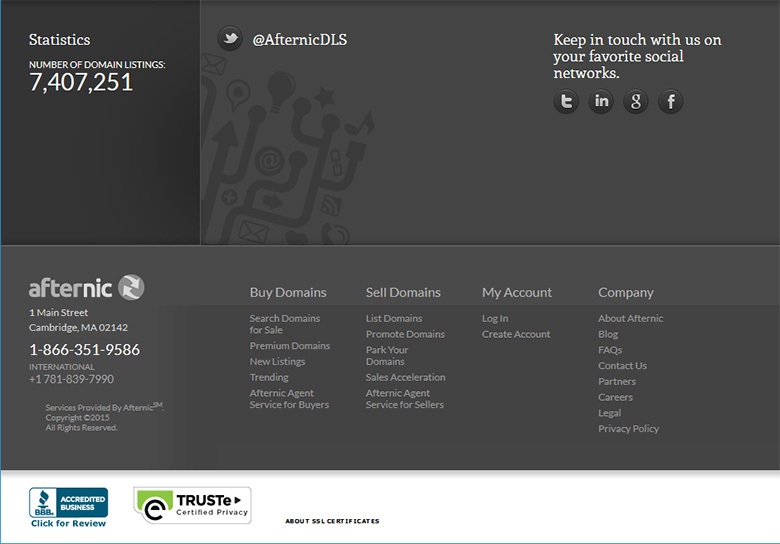 There are several large domain marketplaces: Sedo, Flippa, GoDaddy Auctions (TDNAM), NameJet and Afternic.  We will evaluate their ranking in effective UX which is not about just looking good, it’s about navigating easily and locating stuff fast. The presentation will be done alphabetically, and we begin with Afternic. If you’re looking to buy domains, Afternic is a destination with a large inventory, including private portfolios owned by old players in the domain game. The company was acquired by GoDaddy two years ago but it’s operated independently. The Afternic homepage presents its brand loud and clear: the logo is large and clean, the navigational interface on the top right is compact but also expands upon interaction. This function is very effective, as it conserves visual real estate in the browser. Immediately below, the mission is clear: Buy domains by searching, or sell domains by moving to a log in page. One needs to create an account for the latter, and the options to create an account or log in appear as well. Below that segment, is the so-called hero graphic; the use of rotating, stock photography is pleasant and not over the top, with quotes on the left and motivational prompts about interacting with the marketplace on the right. The height of this image composite is a bit on the tall side, but it remains aesthetically in balance with the rest of the content. The following section is split vertically into a call to action (CTA) area that displays contact information and news snippets, and the main area of domain inventory. Let’s take a look at how the domain inventory is organized in that area. There are three segments, visually separated by headers: Premium domains, Trending and New Listings. Each segment presents the domains in clean lines of alternating hues, with the domain’s keyword emphasized alongside the TLD. The price is next, with a “BUY” and a “MAKE OFFER” button leading to the respective destinations. Both Premium domains and New Listings contain a link to view more domains in that particular group, taking the visitor to a dedicated page. 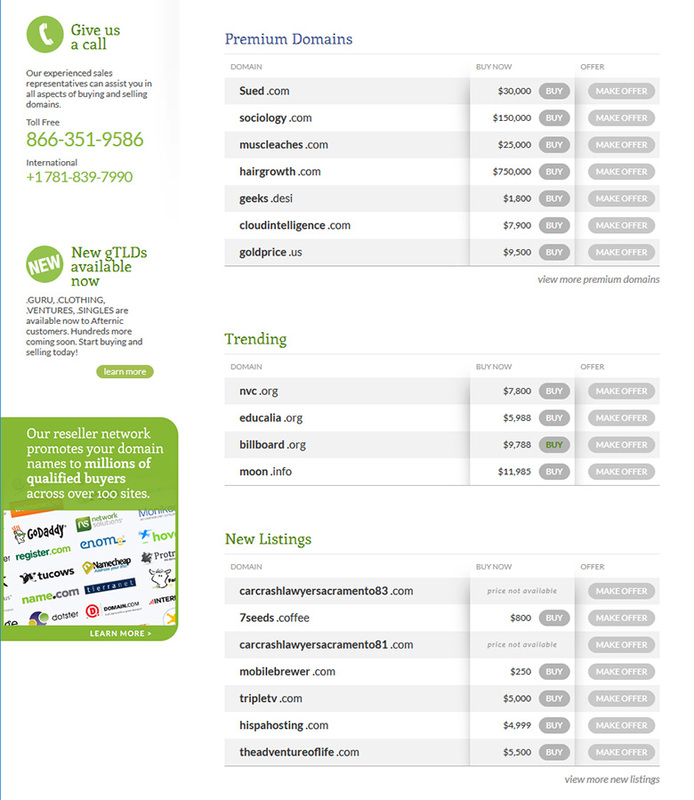 Below these three sections, a tall area in inverse (dark) hues displays statistics about the Afternic marketplace, such as the total number of domains listed, and prompts to connect via popular social networks. At the very bottom the direct contact numbers, address and associated info is displayed, clearly separated from a full textual navigational interface that gives visitors a direct link to every page on the Afternic web site. So how does the Afternic web site rank in terms of design, user experience, ease of navigation and overall presentation of domain inventory? It’s clear that Afternic is a serious player in the domain aftermarket and this is reflected by the amount of work invested in the web site’s design and UX implementation. Thanks for the feedback on the site! I absolutely loved designing Afternic.com, but the development team did the real amazing work in making it actually function! It was a fun and challenging project, and I look back on my time with the Afternic team fondly. Christopher – Great design work. No doubt, development takes a design into a functioning web site, but design and UX implementation is half the task. Kudos! Unfortunately, this is the one marketplace that I find most user unfriendly.  For a person who likes to shop certain extensions or certain length domains, Afternic does not offer this option. I cannot search for all of your .club domains. I cannot search for 4L .com domains. I think you are missing out on buyers.